Tea is timeless. People around the world have enjoyed the aromatic, delicious, and soothing beverage for centuries. Here at Future-ish, we love it when ancient traditions evolve and flourish in our modern times. So, finding people, products, and ideas around contemporary tea culture is one of our favorite pastimes. Our latest find is the Eclectic tea set from the Form line of London-based designer, Tom Dixon. 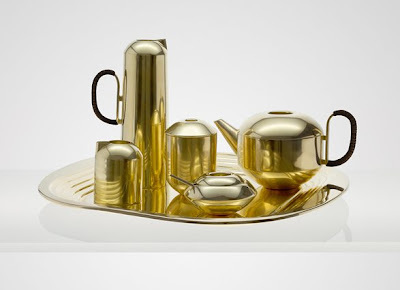 Slightly retro but thoroughly forward thinking, the set elevates the tea time experience to an inspiring new level.